I have been falling behind on posts since I had to send my laptop for repairs! 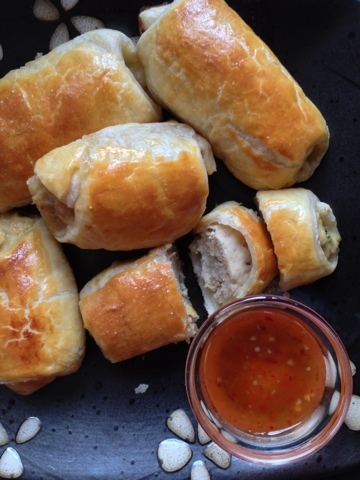 I have yet to receive it and so I'll be blogging about a quick and easy recipe; Thai Chicken Sausage Rolls! Quick, easy, tasty, delicious, flavoursome! I'll keep the intro short and rather proceed with the recipe! 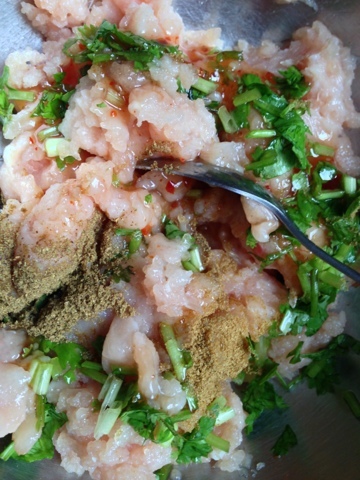 Combine the chicken, cumin, ground coriander, sweet chilli sauce, coriander leaves, salt and pepper. Mix well. 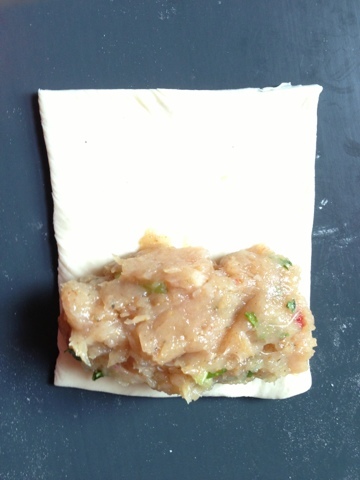 Roll out a sheet of puff pastry, cut rectangles of 9x7 in shape. Spoon chicken mixture onto puff pastry. Roll up to conceal the filling. Place seam-side down. Roll to 'secure' seam. 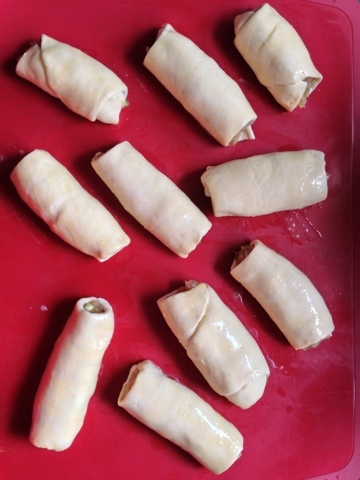 Place rolls onto baking paper/sheet. Bake for 30 minutes or until golden brown and the chicken is cooked through. 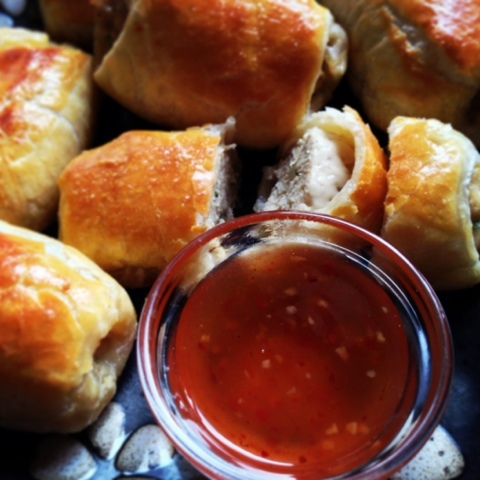 Slice rolls in 3-4 pieces and serve with sweet chilli sauce!